On April 29, we will present a joint concert of the Verdi Requiem with the Greenwich Village Orchestra, a 70-person community orchestra under the baton of Barbara Yahr. Tickets are now on sale. Learn more about this piece of music in these program notes, by John Bawden. When Rossini died in 1868, Verdi proposed that a Requiem should be written in honour of the great man. Thirteen leading Italian composers, including himself, would each be invited to contribute a movement. Somewhat predictably, initial enthusiasm for the idea soon gave way to all sorts of professional rivalries, and when it also became clear that the piece would be little more than an unconvincing pot-pourri, the scheme had to be abandoned. The first performance of the Messa da Requiem took place on May 22, 1874, the first anniversary of Manzoni’s death, in St. Mark’s Church, Milan. Special permission had to be obtained from the Archbishop for the inclusion of the female choristers, who were hidden behind a screen and clad in full-length black dresses and mourning veils. Though it was a successful performance, the restrained circumstances and prohibition against applause produced a somewhat muted reaction. In contrast, the second performance three days later, at La Scala Opera House, was received by the capacity crowd with tumultuous enthusiasm. The Requiem became an overnight sensation, and was equally ecstatically received at the many European performances that soon followed. Its British premiere took place in May 1875 at the Albert Hall, conducted by Verdi himself, with a chorus of over 1000 and an orchestra of 140. One journalist described the work as “the most beautiful music for the church that has been produced since the Requiem of Mozart” – a view that was echoed by most people. However, a significant minority found it offensive that Verdi, an agnostic, should be writing a Requiem. For them the very qualities which made his music so ideally suited to the theatre made it wholly unacceptable for the church. Today this difference between traditional sacred music and Verdi’s operatic treatment of the Requiem text no longer presents a problem. The work begins with a hushed and solemn falling phrase on the cellos, a motif that recurs later. After the opening Requiem aeternam (Rest eternal), the Kyrie follows, introduced by the four soloists. Here the operatic nature of the piece is clearly revealed, with its expansive rising melody and wide dynamic contrast. The lengthy second movement, Dies irae (Day of wrath, day of judgement), is a sequence of nine widely contrasting sections containing some of Verdi’s most dramatic and emotional music, notably the terrifying Dies irae theme with doom-laden thunderclaps provided by the bass drum; the on- and off-stage trumpets representing the “last trump” of Biblical prophecy; and the tender pleading of the Salva me (Save me). The Dies irae motif is never far away, but eventually the terrors of the Last Judgement give way to the heartfelt Lacrymosa dies illa (That tearful day), and quiet final prayer, Dona eis requiem (Grant them peace). The Agnus Dei sounds at first as if it is from some remote region. After the rich romanticism of much of the earlier music, Verdi presents us with an austere, unaccompanied duet, in bare octaves. The chorus answers, also in octaves but with the addition of a small group of instruments, and then, as the second and third statements of the Agnus Dei text progress, the music grows in richness and warmth. Lux aeterna (Light eternal) is a short movement for a trio of solo voices, sometimes unaccompanied and sometimes supported by shimmering strings. After the chant-like opening of the final movement, Libera me (Deliver me), and a short arioso for the soprano soloist, Verdi returns to the original Dies irae and Requiem aeternam themes. The extended final section of the work is another energetic fugue, again loosely based on a version of the cello motto. After a tremendous climax the work gradually moves towards a quiet end, though the concluding prayer of supplication, surely reflecting Verdi’s own uncertainty, noticeably lacks the final serenity and assurance of salvation found in most other Requiems. On April 29, we will present a joint concert of the Verdi Requiem with the Greenwich Village Orchestra, a 70-person community orchestra under the baton of Barbara Yahr. This fiery and intense, powerful and transcendent Requiem will feature a stellar line-up of soloists. Tickets are now on sale. Soprano Rebecca Farley holds a master's degree from The Juilliard School where she appeared as the Controller in Flight, Bubikopf in Der Kaiser von Atlantis, and covered Amina in the Met+Juilliard production of La Sonnambula. She premiered the role of Mary in Angela Rice's oratorio Thy Will Be Done at David Geffen Hall and has performed as soloist with the Cecelia Chorus in Bach's Magnificat and in his Christmas Oratorio at Carnegie Hall. 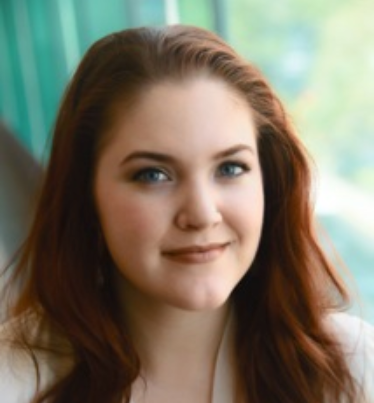 George London award winner Raehann Bryce-Davis, hailed by the New York Times for her "striking mezzo soprano" recently sang Verdi’s Requiem with Marywood University, joined the Aspen Music Festival for John Corigliano’s Of Rage and Remembrance, and performed Mahler’s Symphony No. 2 at the Cathedral Church of Saint John the Divine. This season she joins Theater an der Wien as Wellgunde in Wagner’s ring cycle and makes her Carnegie Hall debut with the New York Oratorio Society in the world premiere of Paul Moravec’s Sanctuary Road. 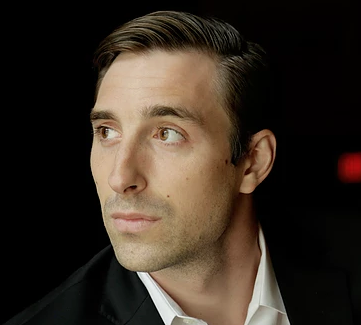 Tenor Jonathan Tetelman is also an old hand at the Verdi Requiem, having performed it with the Milan Festival Orchestra last season in Lake Como, Italy. This season he joins the Metropolitan Opera roster for Norma, makes his New Orleans Opera debut as Marco in Chadwick and Barnet’s Tobasco. Upcoming engagements include Rodolfo in La Bohème with English National Opera and Pinkerton in Madama Butterfly with Virginia Opera. He has previously performed with St. George’s Choral Society as a soloist for Dvorak’s Stabat Mater and Dvorak's Requiem. Bass Christian Zaremba, described by the New York Times as "a stage animal with a big bass voice" is currently singing the role of Angelotti in Tosca at the Metropolitan Opera. This season he has also sung Sparafucile in Rigoletto at Michigan Opera Theater, and Zuniga in Carmen with Austin Opera. Recent engagements include Il Re in Aida with the National Symphony and the Bass Soloist in The Little Match Girl Passion with the Glimmerglass Festival and Portland Opera.